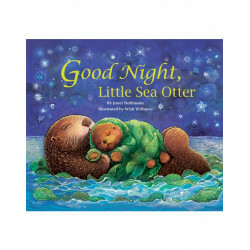 Little ones will soon settle down for bedtime just like Little Sea Otter as she snuggles with Mama in a cozy bed of sea kelp and calls good night to all her ocean friends - sea lions, sea snails, seagulls, seals, and sea urchins. They all reply. The gently rocking seas and Mama's loving arms soon send Little Sea Otter to dreamland.